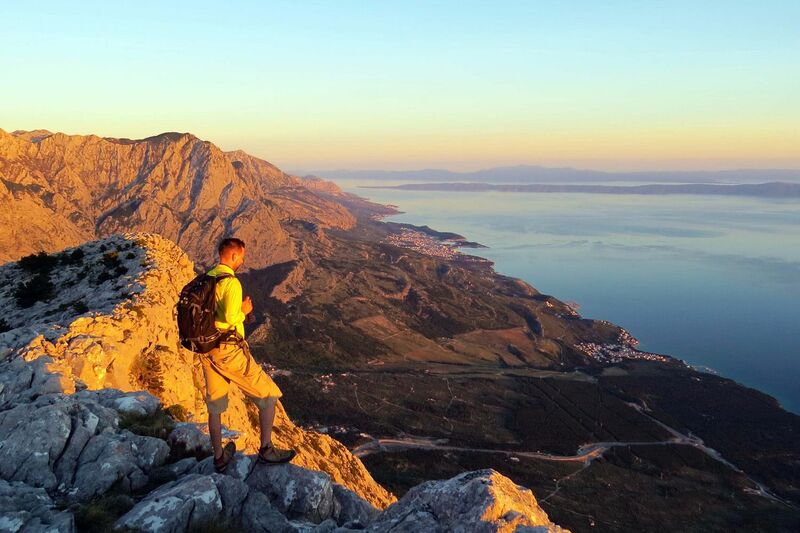 Go Explore Croatia is a project that was born out of love towards nature, travel and adventure. We are Gorana & Davor, founders of Go Explore Croatia and real outdoor enthousiasts. Our adventure travel agency is specialised in hiking, cycling, mountain biking, kayaking, canoeing, rafting and yoga adventures. The goal is to show you real Croatia through different outdoor activities – amazing National Parks, UNESCO World Heritage Sites and famous old towns, but also the most remote corners of our country and off the beaten path locations that even many local people don’t know about. Although we can accommodate different group sizes we like to work with small groups because it gives us the opportunity to connect with all our guests and visit hidden places without spoiling them. So if you decide to travel or partner with us as an agency you can definitely expect an individual approach and responsible travel. Croatia is a small but a very varied piece of land where the mountains, plains, forests, rivers, lakes, waterfalls, coast and more than 1000 islands work together to create an ideal setting for adventure. We always prefer to leave motor vehicles behind and let our legs carry us, sit on a bike or take a boat and paddle to explore this beautiful nature slowly, quietly and with awareness. Whether it’s one of our day trips, multi day tours or an original tailor made adventure that was designed just for you, we promise you an authentic experience where you will breathe some fresh air, get your body moving, immerse yourself into the colorful sights and learn about the local culture and tradition. Many years of working in the adventure travel field and experience in tourism showed us that safety comes first. That’s why you will be in the hands of not only licensed but also responsible and knowledgeable guides that will lead you through the experience. Good stories, fun approach, some interesting Croatian history, camping fire in the evening or a nice song played on an instrument are always a plus that we like our guides to be able to offer to our guests. Another side of the story is the impact that our activities have on the planet and the people. Through our actions we do our best to give meaning to the words responsible and sustainable tourism, environmental protection and permaculture. Since we offer very different levels of comfort depending on the specific travel requests and since this type of activities often requires private coaches and a fairly complicated logistics, we use motor vehicles quite a bit, it’s unavoidable. But we try to balance that as much as we can. We recycle, have projects that include cleaning the rivers and beaches. We are currently working on a carbon neutral trip that we hope to release very soon. Local economy and collaboration with local communities is an important aspect of our business. Including them in our packages by organising meals with the local families, using family-run hotels or contracting small local service providers contributes both to their wellbeing and the quality of the services that we offer. All in all, our mission is to deliver a one-of-a-kind experience to all our outdoor enthousiasts. We hope to share some good moments with you and adventure with you soon!